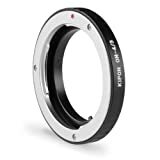 The lens adapter connects your lenses with an M42 connection to Minolta AF cameras. 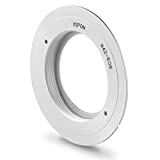 Due to the precise and accurate assembly, the adapter securely locks into the bayonet connection of your camera. The connection is entirely mechanical, so no electronic data transfer takes place. Thus settings regarding f-stop, focus, etc. have to be made manually. Focusing to infinity can be done without any problems. 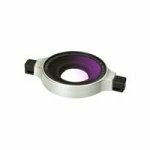 We also offer adapters for other lens types. 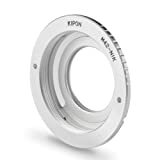 The lens adapter connects your Nikon F lenses to Nikon 1 cameras. Due to the precise and accurate assembly, the adapter securely locks into the bayonet connection of your camera. 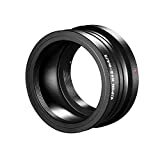 The lens adapter connects your lenses with a T2 mount to Pentax Q<strong></strong>cameras. Due to the precise and accurate assembly, the adapter securely locks into the bayonet connection of your camera. 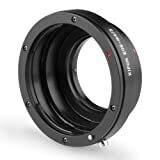 The lens adapter connects your Olympus OM lenses to cameras with a Four Thirds connection. 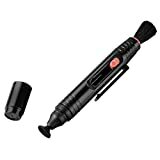 Due to the precise and accurate assembly, the adapter securely locks into the bayonet connection of your camera. 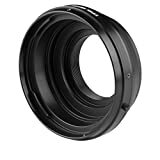 The lens adapter connects your Nikon lenses to cameras with a Four Thirds connection. 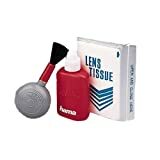 Due to the precise and accurate assembly, the adapter securely locks into the bayonet connection of your camera. The connection is entirely mechanical, so no electronic data transfer takes place. Thus settings regarding f-stop, focus, etc. have to be made manually. 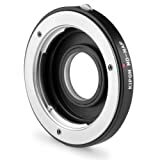 The lens adapter by walimex connects your Canon lenses to cameras with a Micro Four Thirds connection. Due to the precise and accurate assembly, the adapter securely locks into the bayonet connection of your camera. The connection is entirely mechanical, so no electronic data transfer takes place. Thus settings regarding f-stop, focus, etc. have to be made manually. Focusing to infinity can be done without any problems. 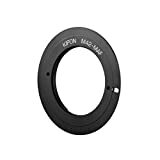 For manually setting the f-stop, the adapter comes with an aperture. 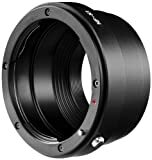 The lens adapter by walimex connects your Canon lenses to Sony NEX cameras (E-Mount). Due to the precise and accurate assembly, the adapter securely locks into the bayonet connection of your camera. 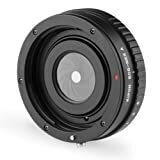 The lens adapter connects your lenses with an M42 connection to cameras with a Micro Four Thirds connection. Due to the precise and accurate assembly, the adapter securely locks into the bayonet connection of your camera. 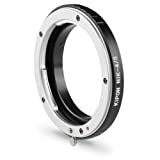 The lens adapter by walimex connects your Minolta MD lenses to Minolta AF cameras. Due to the precise and accurate assembly, the adapter securely locks into the bayonet connection of your camera. 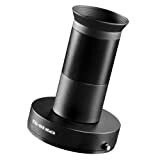 screw on lenses for video cameras with 37mm thread or smaller with step up rings included. One is 0.5x one is 2x.